Enough has been written and said about the sad practice of school and college students cheating during their examinations. 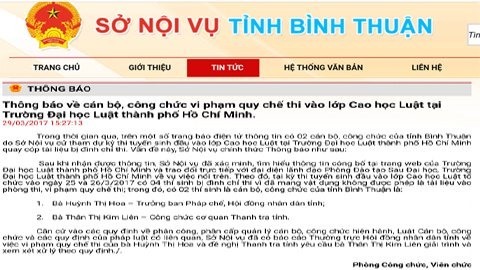 That this practice is not confined to students came to light last week when two officials from the province of Bình Thuận were caught cheating while sitting for an entrance exam for a master’s degree course in… hold your breath…law, at the HCM City Law College. The irony, unfortunately, did not end there. The two officials were… hold your breath again… head of the Legislative Department of provincial People’s Council and an inspector from the provincial Inspectorate.